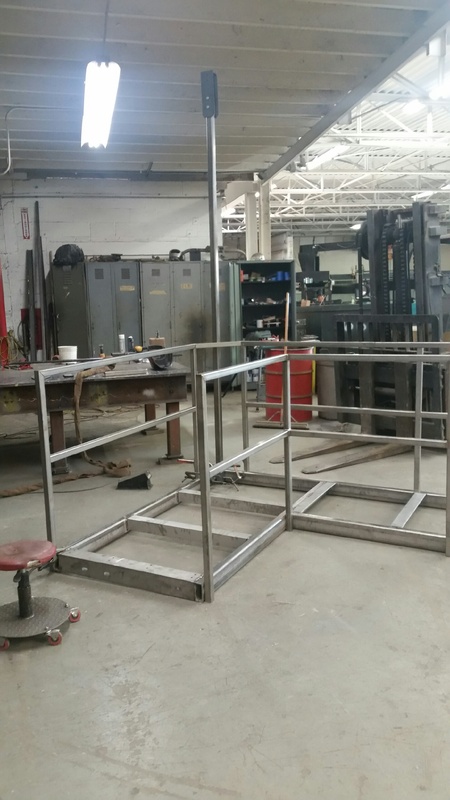 Total Maintenance Solutions is a full service fabrication shop that has tremendous in-house capabilities to produce quality Structural and Sheet Metal fabrication out of Aluminum, Stainless or Carbon Steel. The additional sourced capability to utilize Waterjet Cutting makes the fabrication of any custom part a relatively routine process. Our Industrail design expertise is a combination of our experienced team and a well equipped fabrication & machine shop, allowing us to bring a high level of responsiveness and competence to projects with demanding quality requirements and time constraints! Our steel fabrication shop is equipped to fabricate Steel Plate, Bar, Angles, Tubes, Beams & other Hot Rolled Steel items. Our steel fabrication experience ranges from Structural Framing to Architectural pieces requiring a high level of finishing. We can handle specialty work including Stainless Steel Welding, Aluminum Welding, Radius Bends and Component Assembly. Our Cold Forming capabilities for Sheet Metal items includes equipment such as Shears, Punch & Break Presses for Cold Forming Sheet Metal parts and building Components from Galvanized Steel, Prefinished Aluminum and Stainless Steel.